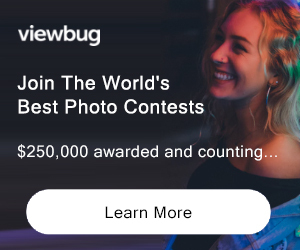 Voted Season #1 2019 is a selfie/photo Contest platform. Upload your selfie, invite friends to vote. Note: Upload and voting starts at Stage Two. Use “VOTED as coupon code to register free! Anybody older than 18 years is allow to register and win. Visit themostvoted.com for more info. The winner is selected based on likes on photos from instagram and facebook. This is the reward to be given to our star Player on Voted. Redemable at the end of this Season. This is the reward to be given to you when you refer a Player to Voted. Not eligible to enter? - Find contest where you are. (“Photo Owner”) is the owner of rights for the photograph described below (the “Photo”). All photo or contents uploaded by users on themostvoted.com (“Website Owner”) acquire the right to reproduce and publish the Photo at its website: (URL: https://www.themostvoted.com)Photo Owner grants to Website Owner and Website Owner’s successors and assigns, the non exclusive right to publish and reproduce the Photo at WebsiteOwner’s website. Photo Owner warrants that it has the right to grant permission for the uses of the Photo as specified above, that the Photo does not infringe the rights of any third parties, and if a model release is required. This Agreement expresses the complete understanding of the parties with respect to the subject matter and supersedes all prior representations and understandings USAGE RIGHTS: You can visit our Website without submitting any information about yourself. However, to place an order for our products, you must be of legal age. If you are not of legal age or act on behalf of someone else, note that you need have consent of a legal representative or in the person in question. Themostvoted is not responsible for such websites, including the terms on which such websites are made available and the privacy policies of such websites, and do not control their content of availability. We reserve the right to update the Website for maintenance or updates. We also reserve the right to suspend or restrict access to some features to users. In any case, Themostvoted will not be liable if for any reason all or any part of the Website is unavailable at any time or for any period. In addition, although we are aiming to keep the Web Content as accurate and as informative as possible, we cannot guarantee that all the information provided is free for error. You will not use automatic systems to increase their likes.